Be sure to listen to “What’s Up” at the BARN! This is the first of a new monthly series of BCB “What’s Up” podcasts. Each episode will highlight the workshops and other creative project activities of the following calendar month at the Bainbridge Artisan Resource Network (BARN). 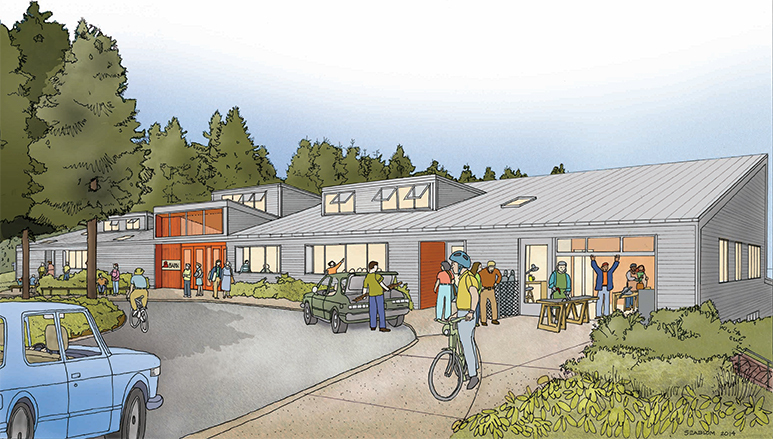 Architecct’s rendering of the proposed new 24,000 square foot BARN center near New Brooklyn Road. The center is currently in Rolling Bay, but a new 24,000 square foot building will soon start construction. Catherine Camp is BCB’s guide to BARN activities. She is the operations and program chair for the BARN board of directors. As you’ll hear in this podcast, she delights in the variety of BARN activities and shares anecdotes about the creative energy that surrounds them. 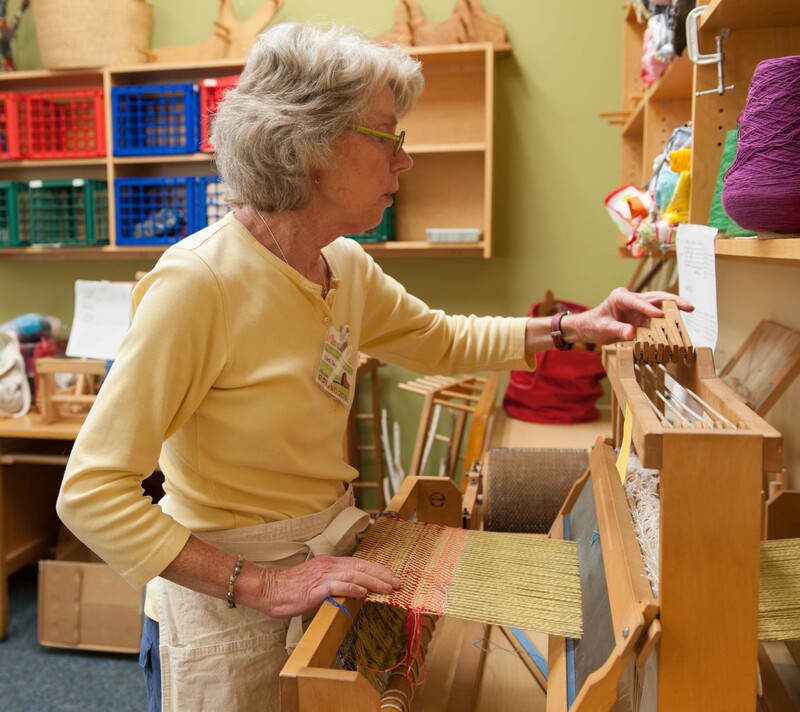 Fiber art: Weaving Fundamentals for Beginners, with Deb Sweet, on Wednesday afternoons from October 7th. 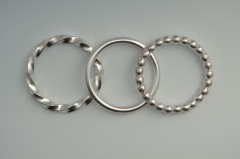 Jewelry: Sublime Silver Stack Rings, with Julia Lowther, on Friday October 9th, from 10am to 2pm. Writing: Live Through This – An Historical Fiction Writing Class, with celebrated writer Kathleen Alcala, on six Wednesday evenings from October 14th. Woodshop: Introduction to Wood Turning of Bowls, with Lee Stollar, on two Saturdays from 10am to noon, starting October 31st. For more information, visit the BARN website.